If you like to cook in bulk, you'll love this! You can cook up a whole batch of boneless skinless chicken breast and have it shredded and ready to throw on a salad, in soup, or season up for whatever you'd like to eat. Use your mixer! I use my kitchenaid mixer but a hand mixer will also work. 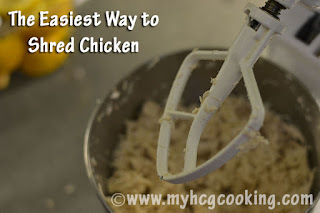 I can throw the hot cooked chicken breasts right in and the mixer shreds them up easily. The key is to do quick bursts of the mixer, don't just turn it on full blast or it'll throw the chicken right out of the bowl. 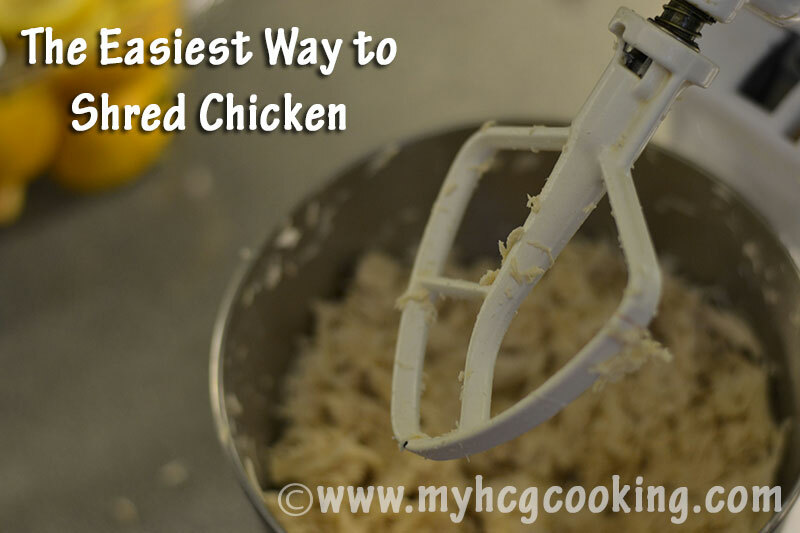 If you're doing a large batch, put just a few breasts in at once, pulse it until you like the level of shredding, then dump it into a large bowl to the side and do the next few breasts. Repeat until it's all shredded. 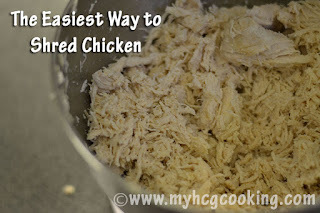 You can cook large batches of chicken in a crock pot, but it takes hours to cook them. Still better than boiling, but not super fast. THEN I got my Instant Pot. Hello! Now I don't even have to deal with boiling chicken anymore OR waiting on the crock pot! I can cook 5 lbs of chicken at once - I just throw it in the instant pot with some water, set it to pressure cook for 15 minutes, and walk away. 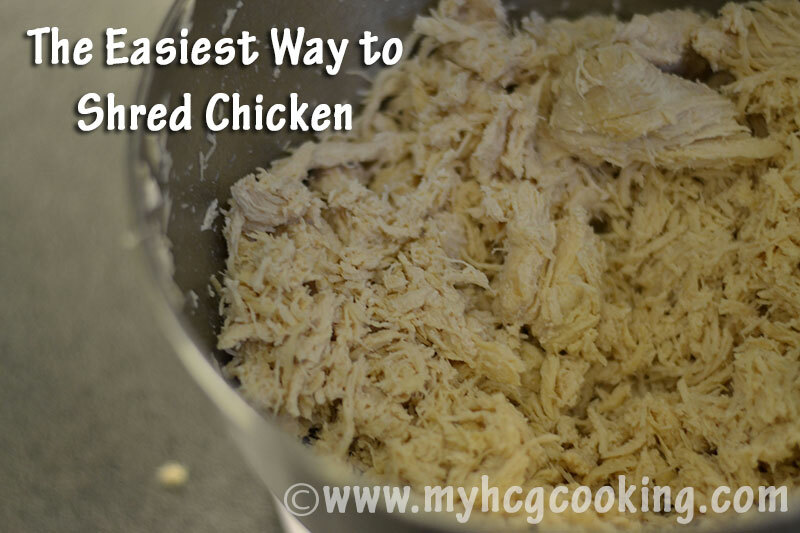 I actually keep cooked, shredded chicken in my freezer now so I can use it in recipes as needed. I even keep some seasoned with taco seasoning to use on a taco salad or in a lettuce wrap. So convenient! Thank you so much for all the hard work you did to create this blog. The recipes and tips are so helpful to me just starting out and feeling over whelmed. Beautiful website! Best wishes for your health goals. What vitamix blender do you have..? ?